It was only a matter of time before the world of video/audio would reach The Clarinet by way of this column. It comes as an important 2007 release from Red Mark Records entitled Bridges, which features Eddie Daniels playing the music Frank Proto. The featured works presented are all pieces written for Eddie Daniels, and are indicated on the box cover to be première performances and recordings. The production consists of two discs: one an audio CD which contains two large featured works (certainly premire performances) and three shorter pieces (believed to be premires also), totalling 67+ minutes of music. The other disc is a DVD which contains all the above and two additional works, and more - Much more. This disc, loaded with features, has a total running time of almost two hours and 43 minutes! Eddie Daniels needs no introduction to most readers as one of the most highly successful woodwind artists in the jazz and classical concert world. He is in top form throughout this recording project. His sound is full and lush, and technique smooth and effortless. Whether playing notated music or improvising, he beautifully maintains the character and style of Frank Proto's compositions. I can think of no better player to bring this music to the public. Frank Proto is a experienced and accomplished composer and performer with a long history of distinguished double bass playing in the symphonic and jazz world, and a creator of many successful and popular works for various media, and ranging in styles from formal concert music, to jazz, to pop, and music for children. He had a long career as a bassist in the Cincinnati Symphony where he also served for years as composer-in-residence. His music has been performed by some of the world's leading orchestras and soloists, including Eddie Daniels. They were classmates in New York's High School of Performing Arts, and have since the 1980s collaborated on several solo pieces. Some readers may be familiar with Paganini in Metropolis with wind ensemble or orchestra. Proto's compositional voice is varied in depth and character. He always shows a musical melodic inventiveness and is a masterful and imaginative scorer. He is a composer who can write successful functional music, spanning styles of easy accessibility to deeper and more abstract musical thought. As a composer he is self taught, and has developed a keen and innate sense of melodic and harmonic practices, and also of formal structure, a quality often attributed to academic training. This recording project to a lesser and greater extent is connected to the musical world of George Gershwin and the building of "bridges" between musical domains, and it was spawned by Gershwin's 100th birthday in 1998. While some of the music (and titles) are obviously connected to this "first crossover" composer, the first and longest work on the DVD, the Sextet for clarinet and strings, is not so obvious. In this case the piece was written with George "in mind" (don't expect any obvious Gershwin), and it is a very effective three-movement large work of just over 30 minutes. Joining Daniels are members of Ensemble Sans Frontiére: violinists Sylvia Mitchell and Paul Patterson, violist Larrie Howard, cellist Norman Johns, and the composer providing double bass. The piece is mostly planted in the classical world, but with movement into the realm of jazz improvisation, and a move which seems perfectly organic to the piece. Proto does not fall into the trap here, or in his other original pieces, of just pasting in jazz. Eddie Daniels is given opportunities to practice his improvisational skills and he does so impressively, with a sense of style appropriate to the work at hand. The performance by all is expressive and committed. This is a live concert recording from the Linton Chamber Music Series in March of 2007 at the First Unitarian Church of Cincinnati. It seems to be an ideal venue for chamber music and the recorded sound is spacious and clear. The video recording is very well planned, conceived and executed. The visual effects of this taping gives the viewer a satisfying array of images that are an effective mix of detail and full shots, and additionally make musical sense. Two Gershwin tunes, Soon, and Love is Here to Stay, in wonderful arrangements by Proto follow the Sextet as encores. These two gems, a highlight of the disc, are not on the CD, however the DVD audio can be accessed with a universal disc player (switch to audio only). Another DVD main menu heading Studio Orchestra Sessions brings up the other featured work programmed here, Sketches of Gershwin for clarinet and string orchestra. This 15-minute, three-movement piece is also performed by Ensemble Sans Frontiére, but this time in the form of a 21-piece ensemble conducted by Frank Proto. It is a piece, from 1998, that was composed in deference to the Gershwin centennial and turned out to be a seed for this recording project. It was never performed until the sessions heard here. Like the Sextet, these sketches are not Gershwin parodies, imitations, or the like, and one is hard put to find even a quotation, although the five-note motive of the first sketch must be Fascinating Rhythm. These pieces are original, engaging works which represent the spirit of Gershwin and his effort to fuse musical styles, and they perhaps present the direction the 38 year-old Gershwin would have pursued, had he lived another few decades. The orchestra's performance is committed and rhythmically very tight. Again Eddie Daniels' clarinet is smooth and the playing masterful. The sound engineering, which is very good, through the wonders of digital editing technique, yield a very homogeneous sonic ambiance with the Sextet sound, even though the two works were recorded in quite different venues. Three additional encore works follow the three sketches: Prelude No. 1 to I Loves You Porgy, Prelude No. 2 to Fascinating Rhythm, and The Man I Love. These prelude pieces are not straight arrangements, but very stylized, sophisticated works for clarinet and string orchestra by Proto. The first of these is a particular favorite. Both are quite elaborate and made even tastier by Daniels' improvisations. This portion of the disc closes with a straight forward arrangement of The Man I Love, played by Daniels on tenor sax. The DVD release is replete with additional features and information. There is a viewing music option, with which the clarinet part of the Sextet and Sketches of Gershwin can be viewed as an translucent overlay as the music is played, which at times was interesting to this viewer, but not wanted as a steady diet. This feature can be utilized or not if your player has a subtitle function. Navigating around this disc also reveals written program notes and biographical sketches, both of which are accompanied by audio clips from various Frank Proto works. In addition to the two featured artists, sketches are included of the string players of the Sextet, Ensemble Sans Frontiéres, and the accomplished videographer Steve Maslowski. A particularly entertaining feature is a two-part interview by off-screen production staff person Paul Gitelson of Frank Proto and Eddie Daniels. Some aspects of the artists' background are discussed, the relationship between the two, and also comments about this recording project and its crossover nature, as well as thoughts regarding being open to new artistic paths. The disc additionally includes a section of samples of seven works of Frank Proto drawn from his wide ranging catalogue. The samples are from symphonic, theatrical and chamber works. Written and visual information is presented about the works accompanied by audio samples. These excepts display the impressive diversity of Frank Proto's musicianship. This DVD/CD is heartily recommended to any listener who is interested in hearing some fresh and very American music, and also wishing to see it being made by first-rate musicians, including one of the most successful crossover soloists of our time. Audio and video quality is excellent throughout, with special kudos to the production staff. Bridges - Eddie Daniels plays the music of Frank Proto is on RED MARK DVC 200308, and is available at select dealers and from Red Mark's internet shopping site. It lists for $22.00, a modest cost considering the quality and quantity of material offered the viewer/listener. This CD and DVD box set contains "world premiere performances and recordings of music written especially for clarinet virtuoso Eddie Daniels by Frank Proto." Proto and Daniels were classmates together at the High School of Performing Arts in New York in the late 1950s and this is a substantial body of new work, born of a long friendship and desire to work together. The catalyst here was the 1998 centenary of George Gershwin's death. 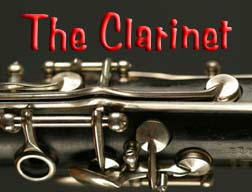 Of special interest to bass players is the excellent Sextet for Clarinet and Strings, written in 2006 (a first rate performance of which appears as a live concert on the DVD, with a justifiable standing ovation at its conclusion) along with settings of two Gershwin standards Soon and Love is Here to Stay, also for clarinet and string quintet. Proto has significantly enhanced the major repertoire of twentieth and twenty-first century chamber works including and featuring the double bass, and this new work is a significant new contribution. It has many of the hallmarks of Proto's style, in particular a skillful blending of jazz, contemporary and more traditional writing. There is throughout a great fluidity of ideas across a huge spectrum of stylistic influences but Gershwin, who permeates this whole project, is never far away. Proto very effectively uses the strings (two violins, viola, cello and bass) in different textural combinations with the clarinet, always skillfully avoiding clichés. It is an engaging and challenging work that deserves to become very well known. The rest of the DVD features studio recordings of three works for clarinet and string orchestra (here conducted by the composer): Prelude No. 1 to I Loves you Porgy, Prelude No. 2 to Fascinating Rhythm and Sketchest of Gershwin for Clarinet and String Orchestra and another Gershwin encore The Man I Love. A Grammy award winner, Daniels' playing throughout is as legendary as ever. He is one of a real minority to successfully balance careers in often disparate fields of music, from his seminal work with the Thad Jones-Mel Lewis Orchestra to appearing as a clarinet soloist with orchestras such as the London Symphony. The title of the box set comes from the "betwixt world - on the Bridge - between jazz and classical music." This is clearly a resident domain for both Proto and Daniels. There are extensive program and liner notes on the DVD as well as enlightening interviews with both men; the whole package is thoughtfully produced and the sound quality throughout is excellent.